Taylor Swift confirmed on a radio interview this week that the next official single from "Speak Now" will be "Sparks Fly." It will be the fifth single from "Speak Now," and the follow-up to three consecutive #1 singles. 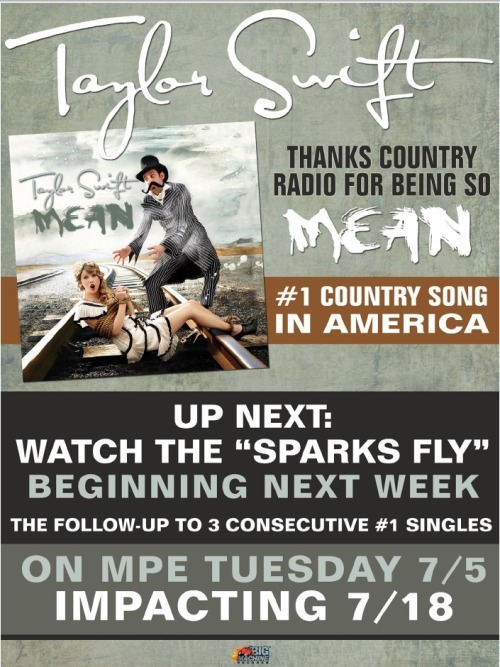 "Sparks Fly" will be released to radio on Monday, July 18.